We stand behind our products. Being the manufacturer of our major product lines, means that our customers have the peace of mind of knowing who is providing the guarantee for their projects. Nashco guarantees that our products are made from the highest grade quality materials conforming to AS1397, which will provide superior performance for our users. That’s why, with all of our products, you know you have the protection of a Warranty that guarantees our products will perform to specifications when installed correctly with products supplied by Nashco. Nashco guarantees that products and components sold by Nashco for use in Nashco ceiling and wall systems, have been designed and tested to conform with the relevant industry, manufacturing and Australian Building Standards. 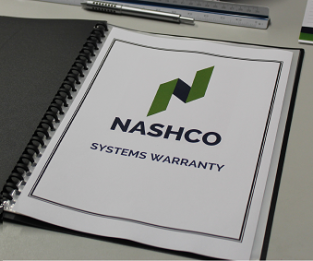 To obtain a warranty for your project using Nashco products, please contact us.